Pain took me out of the blogging game for most of last week. I had been walking, unknowingly, on a sprained ankle for three weeks. I woke up one morning with intense pain in my leg. At first, I thought it was a leg cramp but it wouldn’t go away. When I got to work I was in pure agony and ended up asking to go home because I couldn’t concentrate on anything. Due to fly the next day, I went to a doctor to make sure it wasn’t something more than a bad cramp. At one point when the doctor was examining me, I wondered out loud if it was actually a sprain and not a cramp. He literally told me it was not possible and that it was just cramps and that if I wore socks to bed they wouldn’t happen again. I asked him if I could have something for the pain and he refused by saying that I could take Aleve and it would take care of it. Fast forward three weeks and after a short period feeling okay, I woke up in the night with the same intense pain. I suffered throughout the night and took myself to urgent care first thing in the morning. This doctor took me a little bit more seriously and gave me a pain shot in my backside and sent me for a x-ray. When the results came back she said that I had some swollen tissue around my ankle but not a fracture and sent me home. Several hours later, I was still in the same level of pain and all I could think to do was go to the emergency room. The emergency room doctor felt around my foot and took a brief look at my x-ray from earlier in the day before telling me that I had a sprained ankle. As a result, I am now on crutches and high level pain killers. My ankle still hurts a lot but not the insanity levels of the past few weeks. After all of this pain, I needed something to make me feel good. When I heard about the No Kill LA (NKLA) pet adoption event at La Brea Tar Pits, it sounded like just what the doctor ordered. I mean, puppies AND food trucks? Throw in Chris and Spotify and that sounds like my idea of heaven. So, I drugged myself up and headed on over to the event. 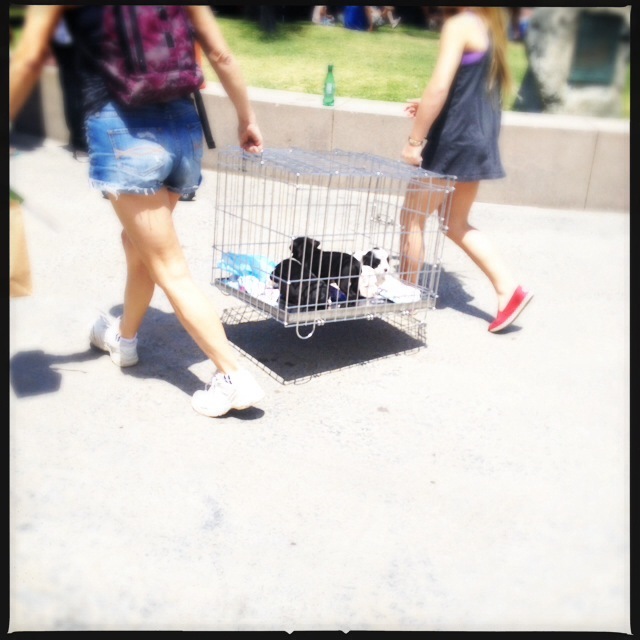 As soon as I walked through the gates of La Brea Tar Pits park, there were dogs everywhere. I decided to start out with some food from one of the food trucks. Both because of hunger but because it would give me some time to sit down and rest my ankle before walking around the dogs. There were several food trucks at the event. The only one I had seen before was the Grilled Cheese Truck. I’ve eaten from them before but with as hot as it was, the idea of hot melted cheese wasn’t really doing it for me. 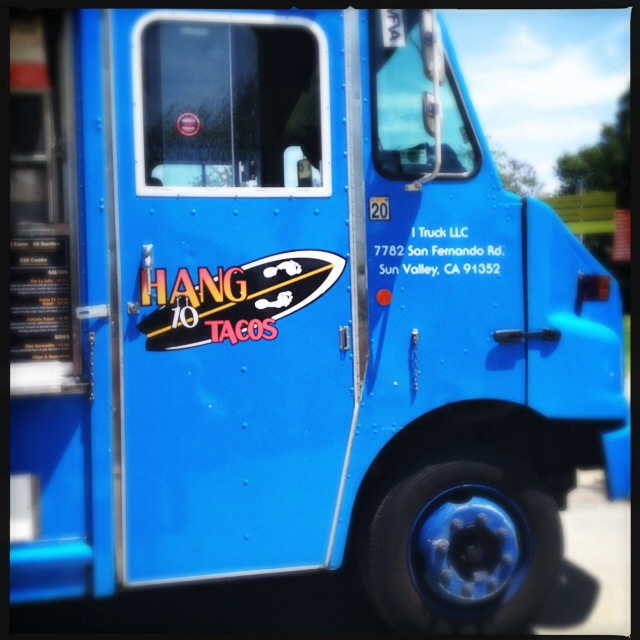 Instead, I decided to try out the Hang 10 Tacos truck. There menu was made up of a variety of interesting sounding tacos. 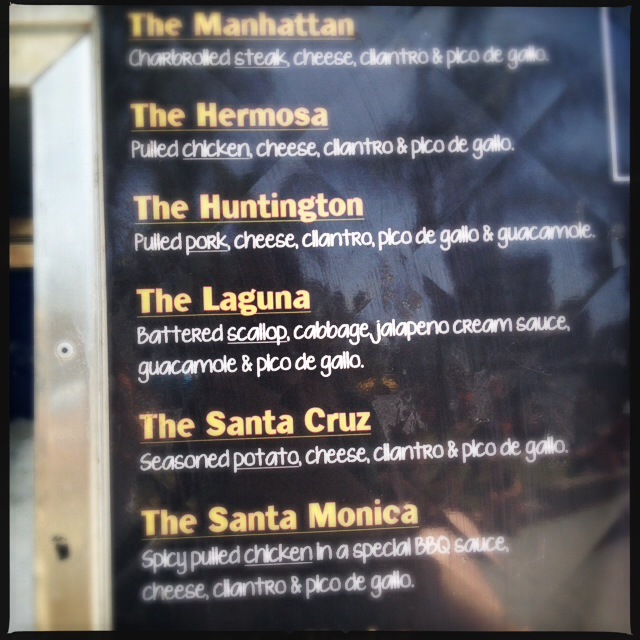 Each of which was named after a different Los Angeles area beach. 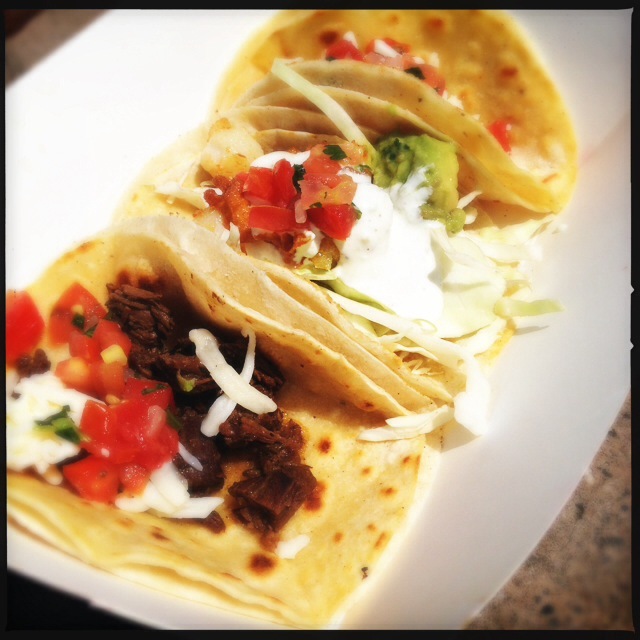 All of them, including the vegetarian tacos, sounded interesting and I knew I was going to try more than one. So, I took advantage of their three tacos and a drink for $10 deal. My taco trio was made up of The Manhattan,The Huntington and The Laguna. The Manhattan was made from charbroiled steak,cheese, cilantro and pico de gallo. 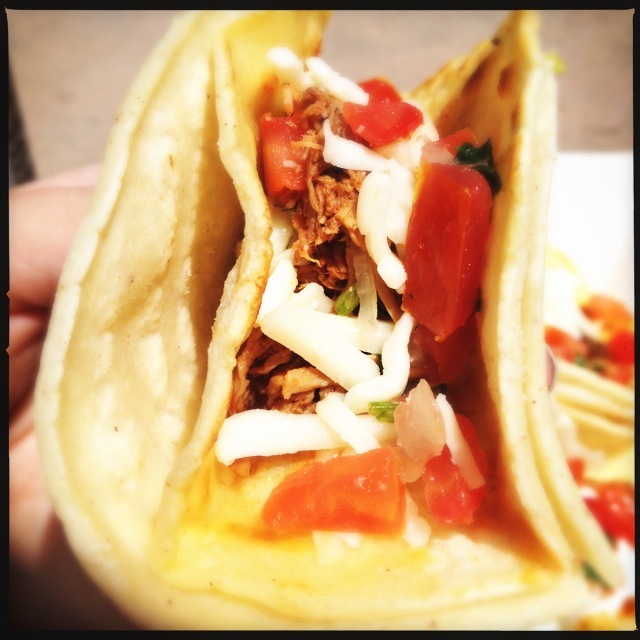 The Huntington taco was pretty much the same thing but with pulled pork instead of the steak and with guacamole added. The Laguna taco, which as the one I was looking forward to the most, had battered scallops, cabbage, jalapeno cream sauce, guacamole and pico de gallo. 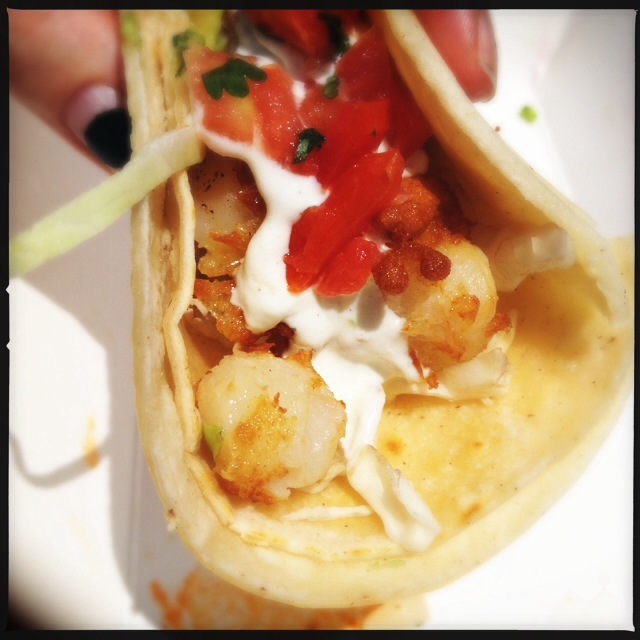 All of the tacos were good but the scallop taco was the best. The light battering meant not having to fight through breading to get to the tender scallops. I was happy that the jalapeno cream wasn’t spicy. 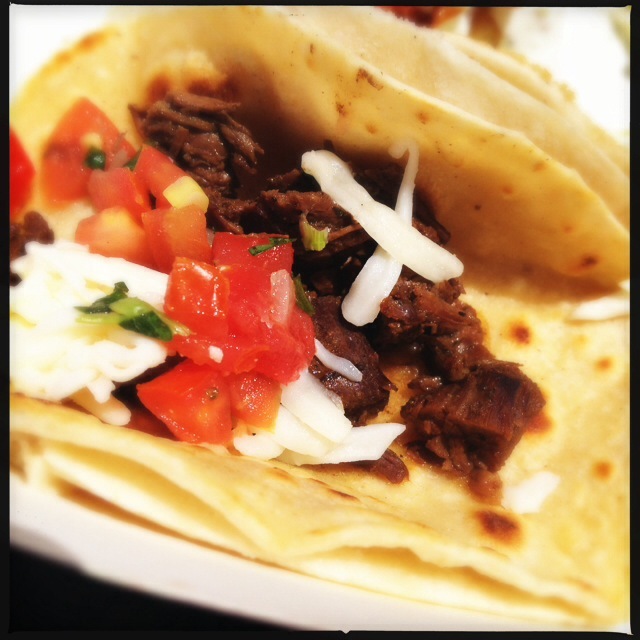 In fact, none of the tacos I had were at all spicy. Which is prefect for me but I would imagine a lot of taco fans would have wanted a bit more fire. 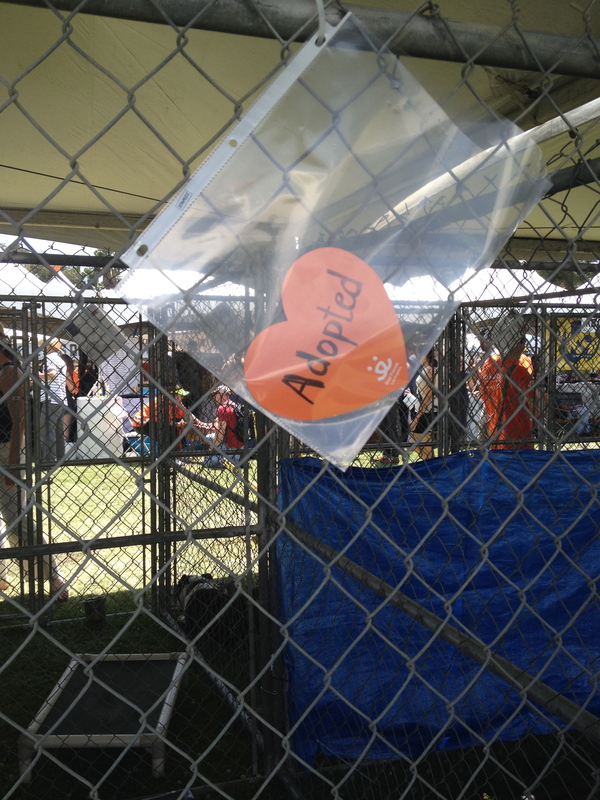 With my foodie side satisfied, I headed into the main event to check out the dogs that were hoping to find new homes. 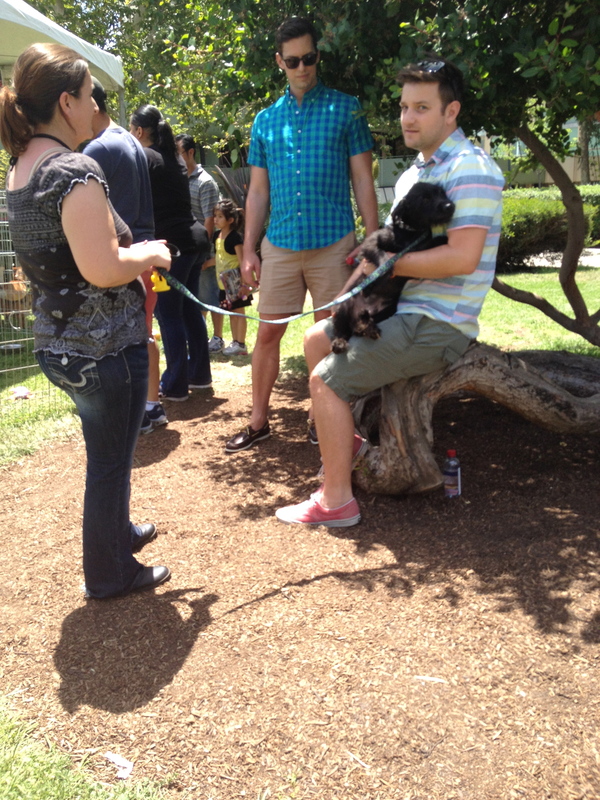 Events, such as this NKLA event, make me both hate and love humanity. 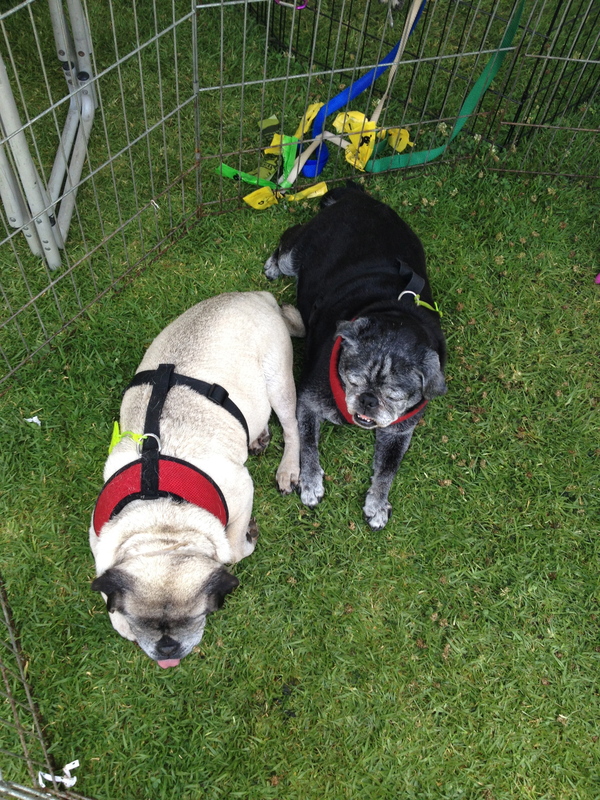 On one hand, there were hundreds of dogs at the event. Many of them had been abandoned or neglected but their original owners. As a dog lover that really frustrates me. 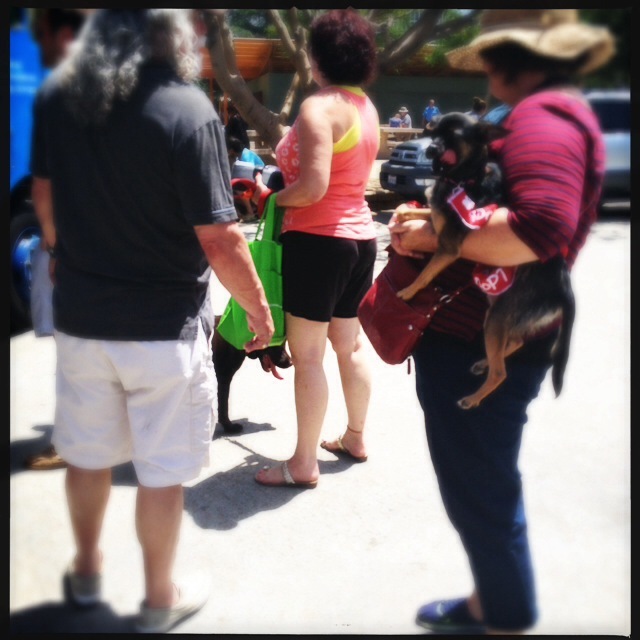 On the other hand, the NKLA event was full of people that volunteered their time because they know shelter animals face death if they donn’t find homes. That has to be the source of some hope. 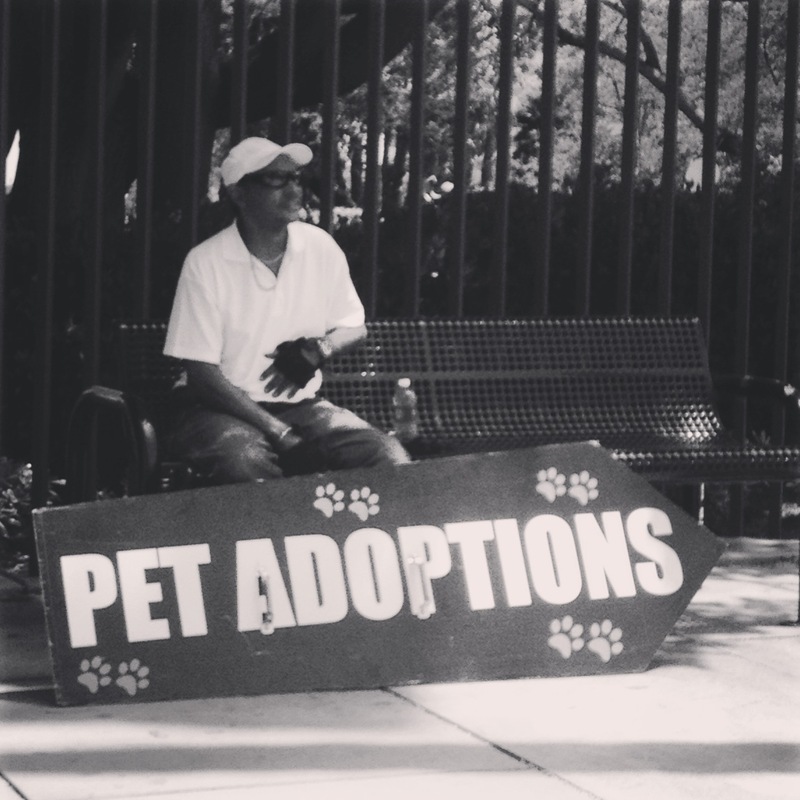 Not to mention those folks that adopted a dog or a cat at the NKLA event. All around the park there were people cuddled up with their new family members. A big part of me wishes that I could have been one of them. There were certainly a couple dogs that I would have enjoyed getting to know better. However, part of being a responsible dog lover is knowing when you aren’t ready. I had to leave two dogs behind with my ex-husband when I left the UK. I am still not really over the guilty feelings I have from that. That, combined with my small apartment and busy work schedule has me convinced that it is best that I show my support in other ways. I had a particularly strong bond with my pug that I left behind in the UK. I loved both of my dogs but she really was my baby. I’ve been trying to channel those feelings of sorrow and guiltby giving a little bit to the Pug Nation Rescue of Los Angeles. I do this by linking my Ralph’s card to them which means that Ralph’s gives them a percentage of what I spend. 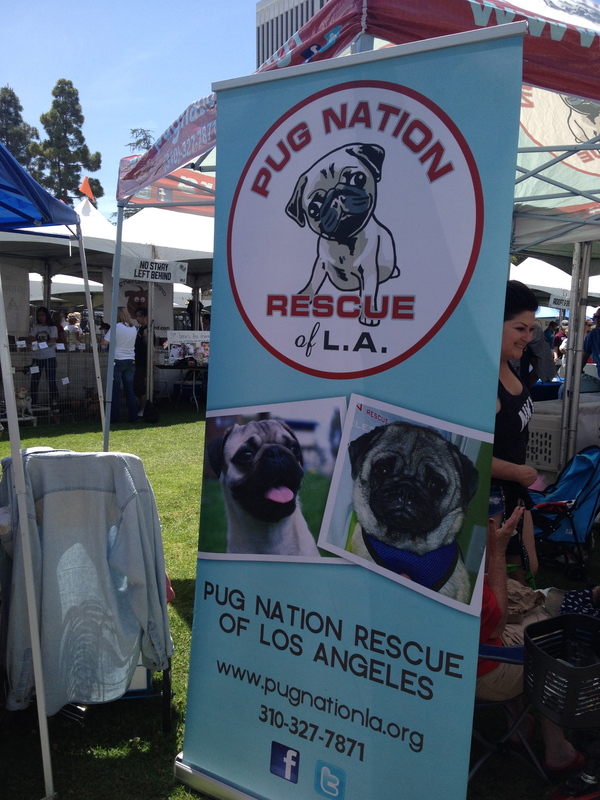 I you want to learn how to do that, Pug Nation Rescue explains the process on their donations page. 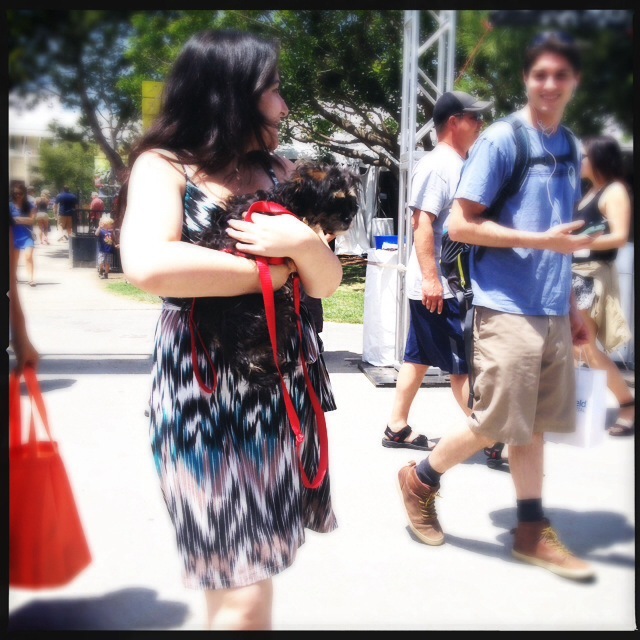 By far, the most common breeds I saw at NKLA were pit bulls and chihuahuas. 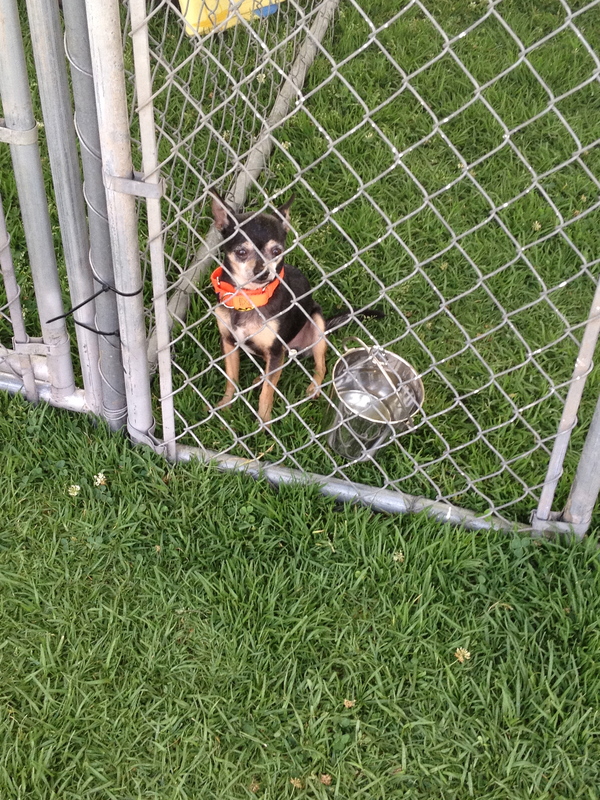 Seriously, if you live in LA and buy or breed in order to get a chihuahua puppy then you are committing an act of cruelty against the huge number of strays that will be put to sleep because they couldn’t be found a home. By the time I had finished walking around and meeting dogs, my ankle was starting to hurt again. In fact, it is throbbing with pain right now. It was worth it though because each time I saw a tail wag, or had some puppy kisses on my hand, I had a few moments of feeling better. Nothing felt better though than going past an empty cage and seeing the adopted notice hanging on the door. Congrats to all those dogs that, thanks to NKLA, are spending their first night in their forever home. 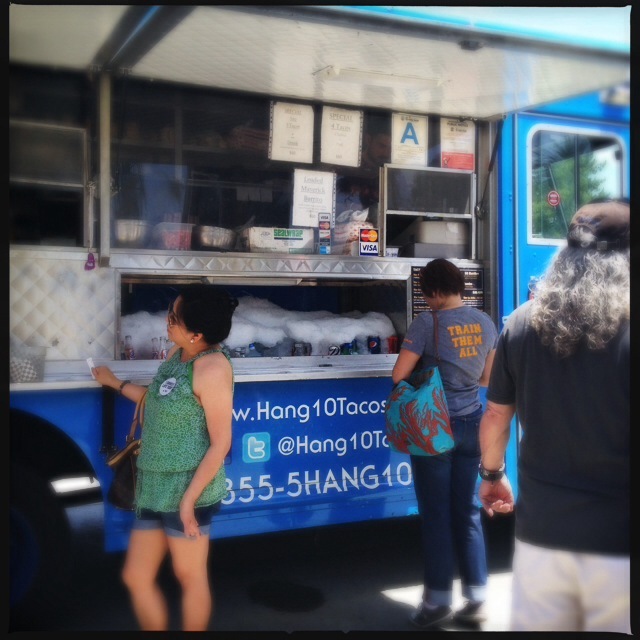 This entry was posted in Foodie, LA Foodie and tagged Foodie Events. Bookmark the permalink. How ridiculous is the Food Network’s new Rewrapped show?